As part of the decluttering efforts, I have pared down my sewing stash by about half. Okay – maybe not half – perhaps a third? In any case, I’ve gone through all the fabric, all the unfinished objects, all the thread and bobbins and trims – and kept only the stuff I really believe I am going to work with in the future. Like anyone who makes things, I’ve got a fair-sized pile of unfinished things – and as part of my commitment to simplify – I’ve decided to finish some of them before I start anything new. 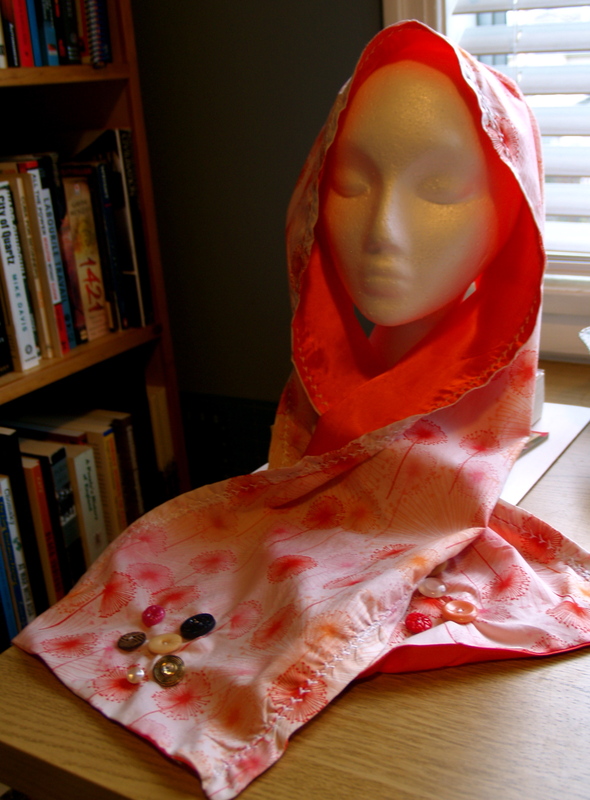 Like this scarf I finished last night – a light spring accessory that I pinned together back in March and then left to die in the basket. Instead of that fate, I took an hour last night and stitched it all together so I can actually wear it before it becomes summer. 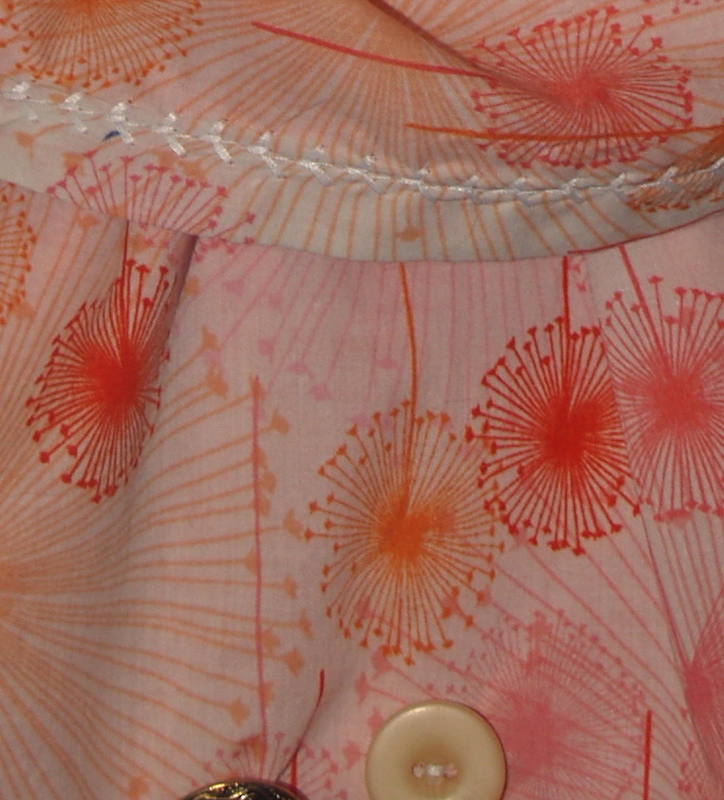 Fabric is a voile I picked up last summer, and the lining is just a simple pink satin. It’s got a bit of wonk to it, but tied around my neck it looks just fine. So done it is (who was it that said perfect is the enemy of finished? ), and now onto the next piece. ← Getting close to purged.